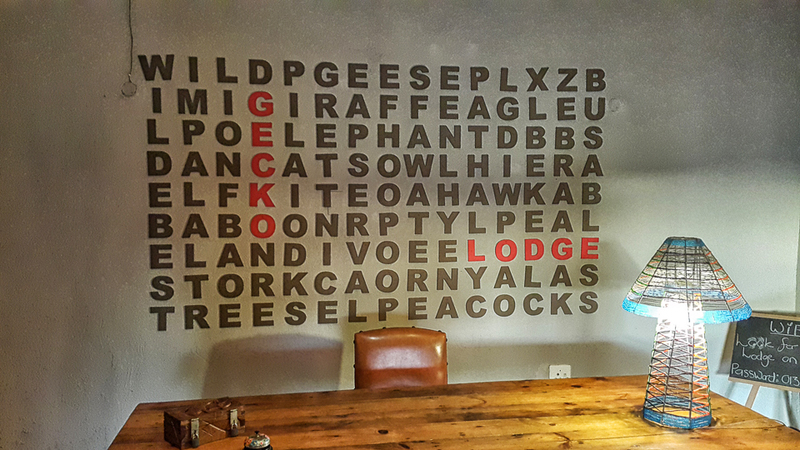 Gecko Lodge is situated on a 35ha Sabie River frontage farm and is just 3km from Hazyview in Mpumalanga, which gives you easy access to 3 of the Southern Kruger National Park gates; Phabeni, Paul Kruger and Numbi. 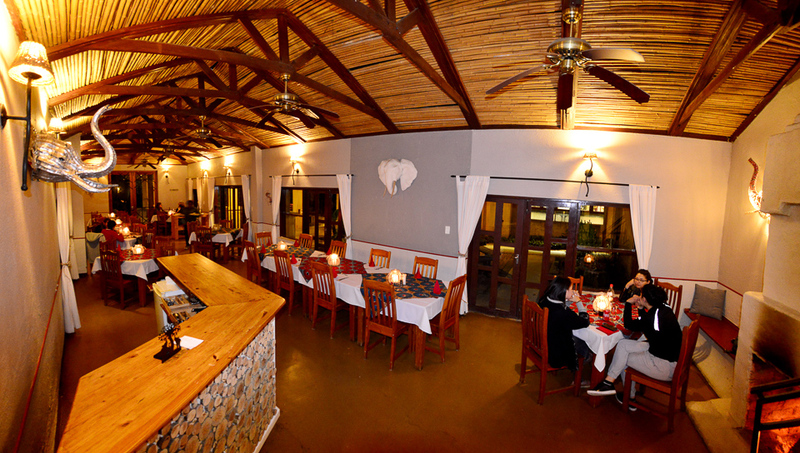 The lodge is owner run by Anja and Gideon. A large entrance leads to the lounge and library which are just off from the reception area. 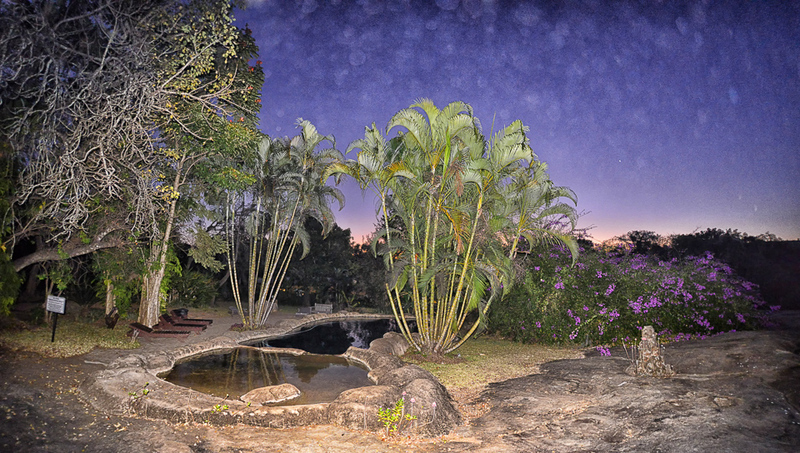 The palm studded rock pool offers a wonderful view over the thick Hazyview bush; this is a good place to unwind with a great book. 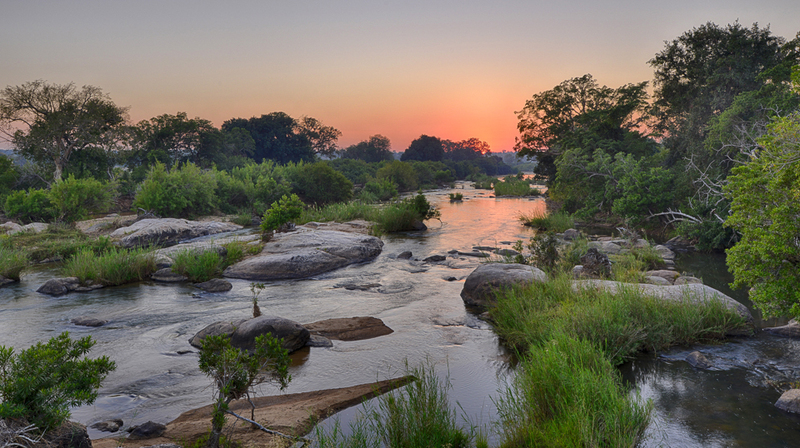 You could also take a walk down to the dam and sit on the bench and listen to the calls of the birds; you may even spot a hippo or two. Breakfast and dinners are served in the restaurant, or you can eat under the canvas outdoor area. 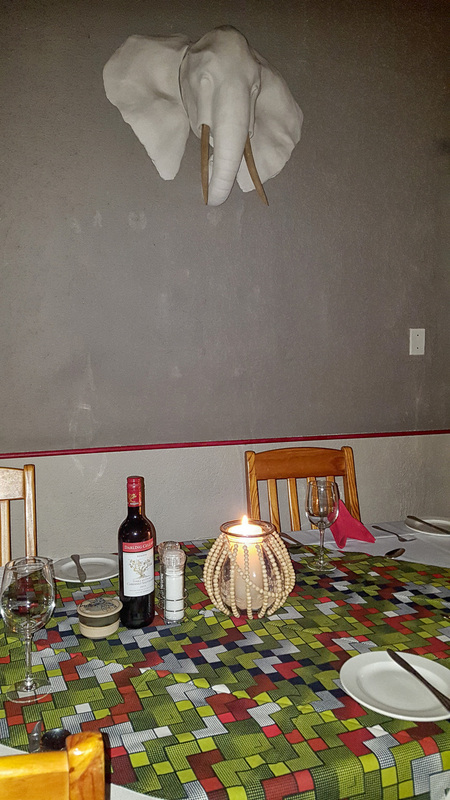 Each night there is a different set menu, which is advertised on the chalk board at the entrance of the restaurant. We did not eat at the restaurant because we prefer to have a bigger selection to choose from, but judging from the many happy faces we saw in the restaurant, dinner must have been good. 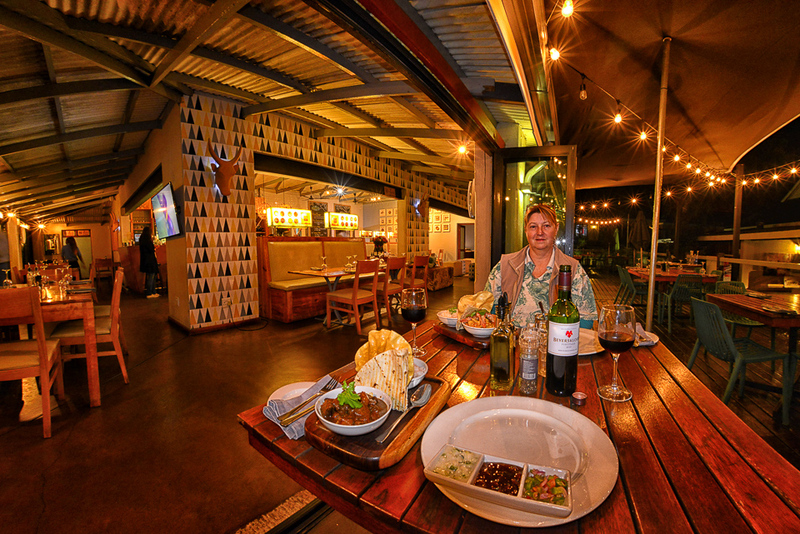 Kuka Restaurant and Cocktail Lounge has a wide variety of meals to choose from but we love their curries. Breakfast packs can be arranged by prior arrangement. 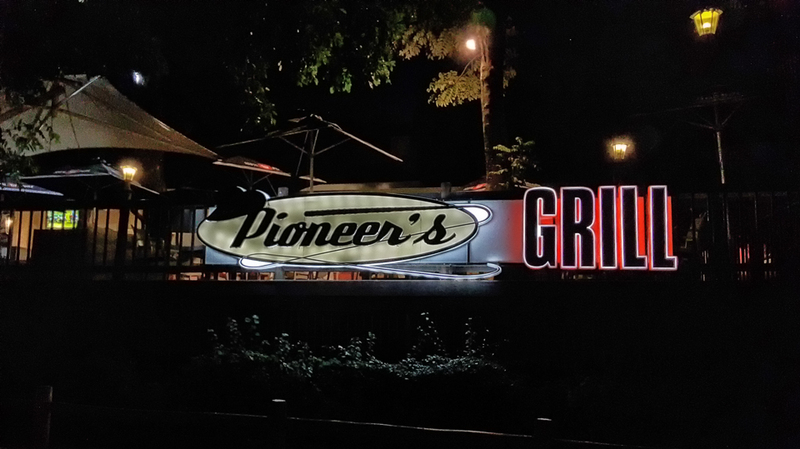 A lovely bar area outside with fireplace is a cozy place to relax with a glass of wine. 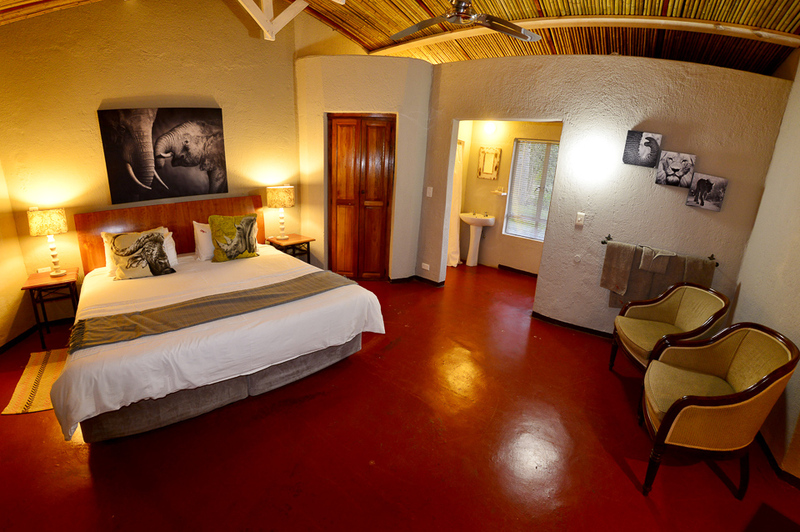 There are 7 double, 12 twin, 2 triple and 2 family rooms; each with an individual look and feel. 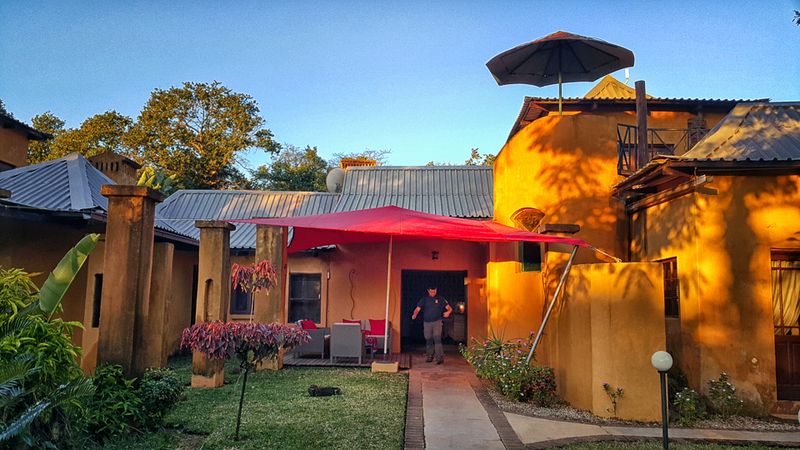 We stayed in room 27, which leads onto a covered veranda style walkway with a view of the courtyard and lush gardens. A small table and chairs on the veranda outside each room offers a good place to sit and watch the bird life in the huge trees. 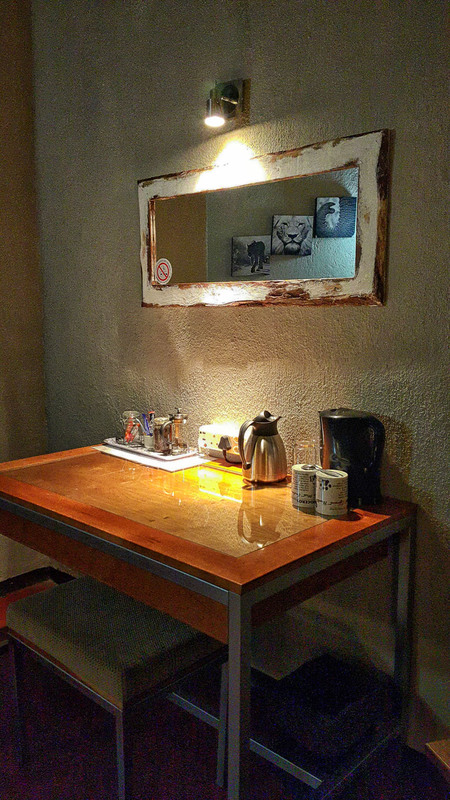 Each room has a ceiling fan, tea & coffee station and a safe, but no bar fridge. 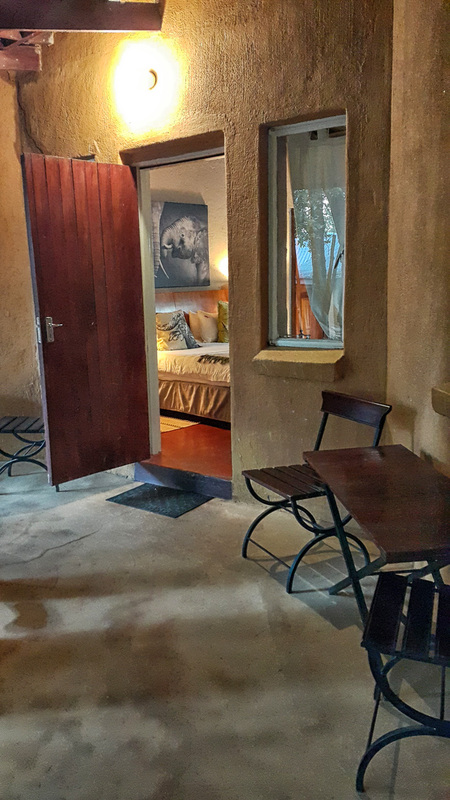 The rooms are en suite with a separate toilet and shower. 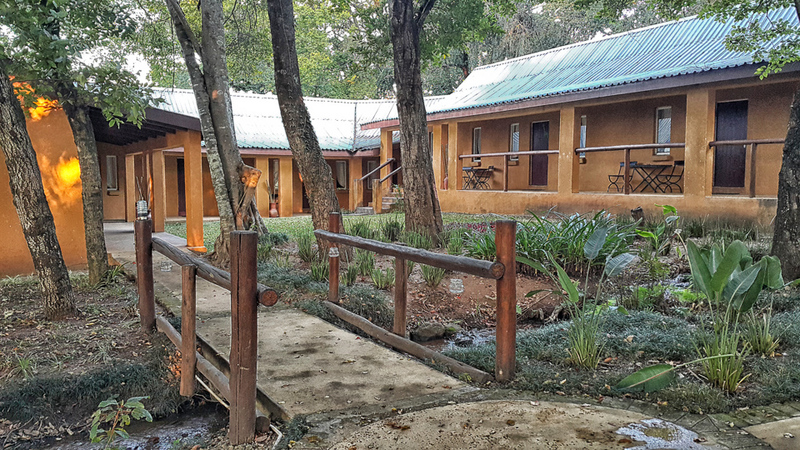 There is plenty to do in an around the lodge; white water rafting, hot air balloon rides, guided game drives into the Kruger National Park or visit many of the other places the Lowveld has to offer. 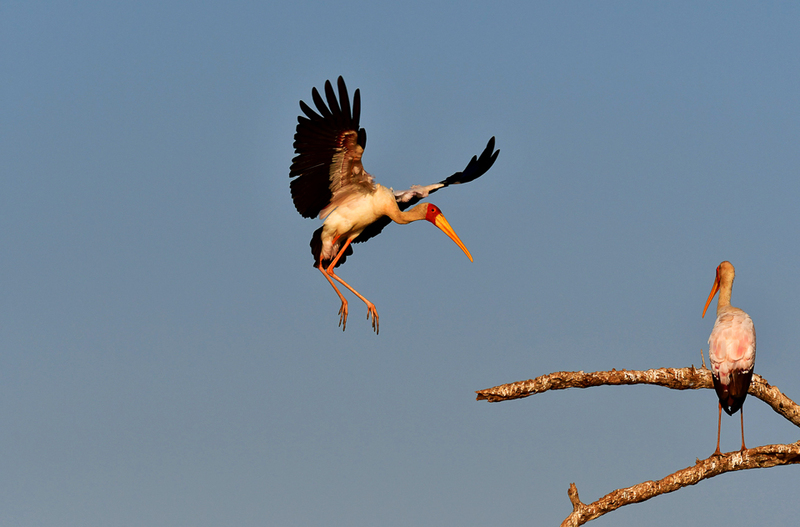 We did the self-drive into the park each day, which is about 16 kms to Phabeni gate, but we used the Paul Kruger gate instead (44 kms) because we wanted to get down to the Lower Sabie area. We would then exit either at Phabeni Gate or Numbi Gate (21 kms). 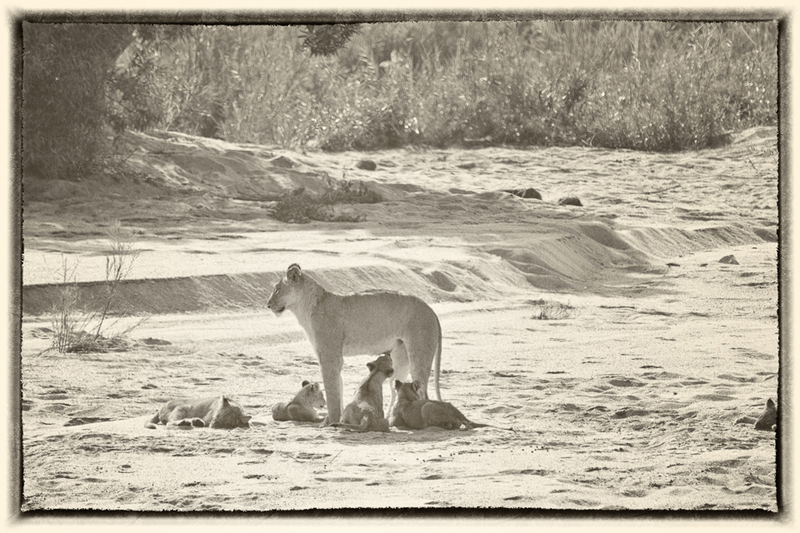 Two full days in the park and we got to see 4 of the Big 5 – rhinos were very scarce. 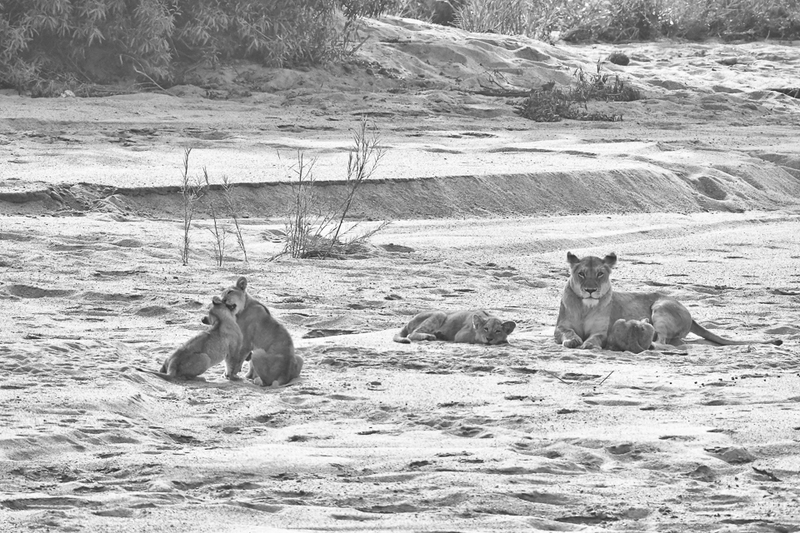 We had three different lion sightings, one leopard sighting, one cheetah sighting and many ellies and buffalo sightings along the way. 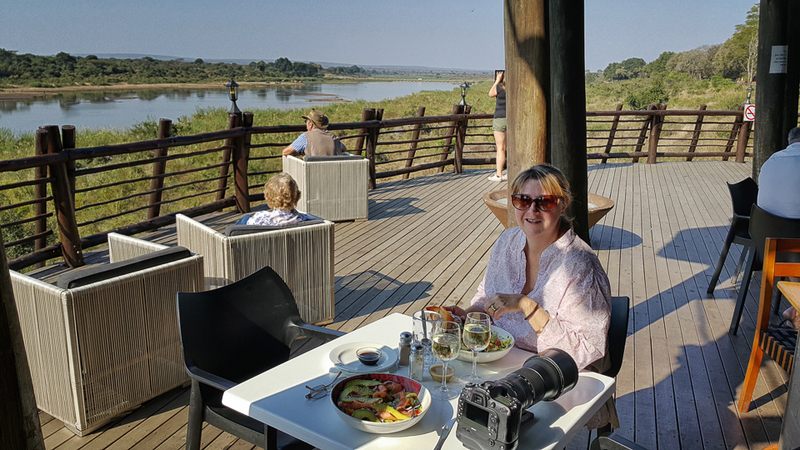 We entered the park via Paul Kruger Gate and would drive down to Lower Sabie, watch the sunrise at the high-level bridge over the Sabie and Sand Rivers, spend some time at Sunset Dam, have lunch and then make our way back to Gecko Lodge, exiting either at Phabeni or Numbi Gates. Leopard ran across the road between Skukuza and Lower Sabie and disappeared into the bush. We sat and waited for about 20 minutes and then it showed itself! What a view! 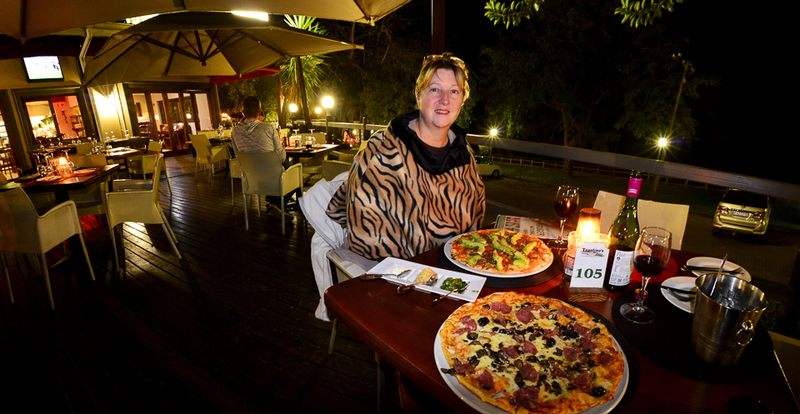 Lunch at the Mugg & Bean in Lower Sabie Camp. 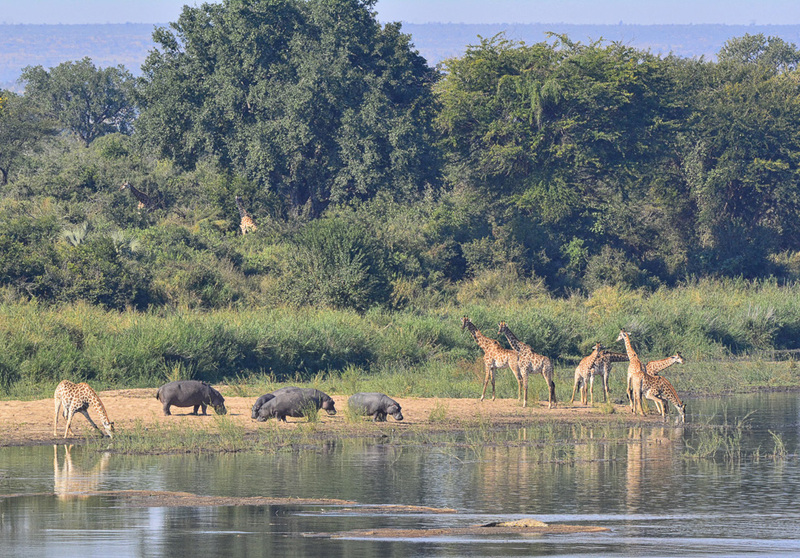 These giraffe and hippos entertained us while we ate lunch. 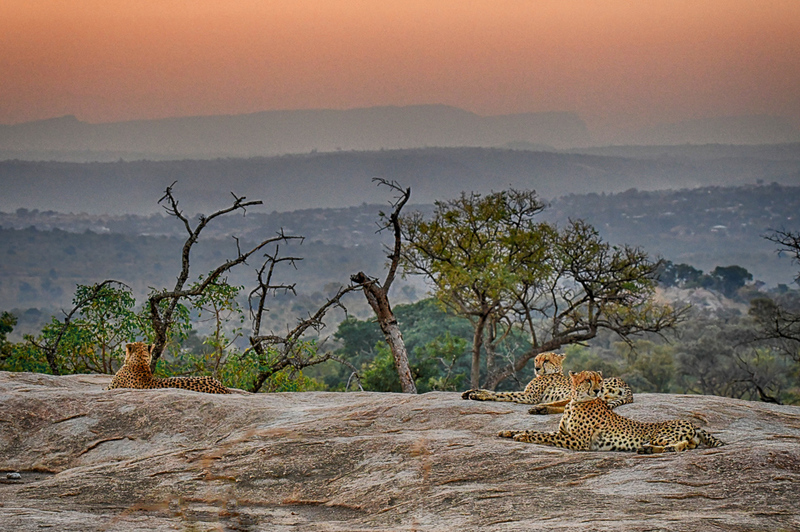 What a way to end the day - three cheetahs at sunset! We found them on the S7 dust road between Phabeni and Numbi gates. 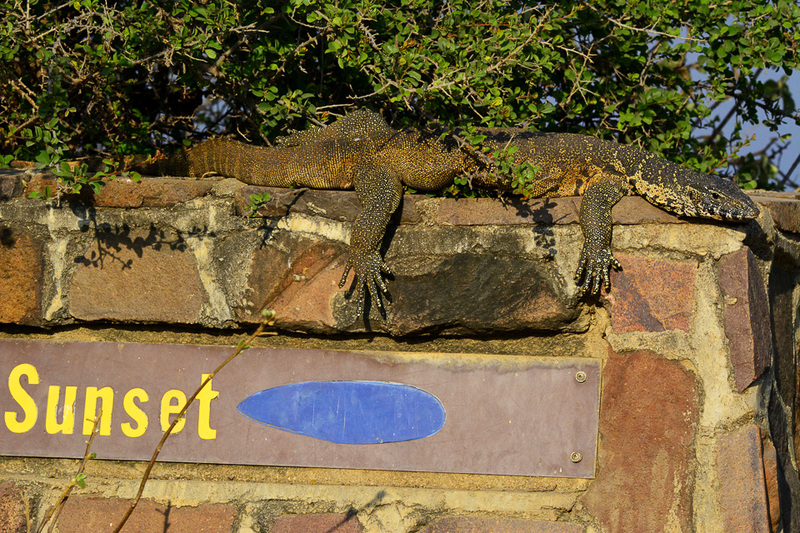 We photographed them until after the sun had set so we had to exit our Numbi Gate as it was much closer than Phabeni Gate.